The following is from Donal Ryan's novel, From a Low and Quiet Sea. Three men—Farouk, Lampy, and John—search for the things they have lost, and reckon with family, love, the desire for forgiveness, and disappointment. Donal Ryan is the author of several novels, including The Spinning Heart, which won the Guardian First Book Award, among others, and was longlisted for the Man Booker Prize. 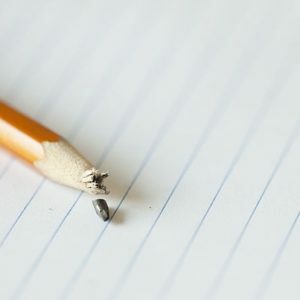 He holds a Writing Fellowship at the University of Limerick. Let me tell you something about trees. They speak to each other. Just think what they must say. What could a tree have to say to a tree? Lots and lots. I bet they could talk for ever. Some of them live for centuries. The things they must see, that must happen around them, the things they must hear. They speak to each other through tunnels that extend from their roots, opened in the earth by fungus, sending their messages cell by cell, with a patience that could only be possessed by a living thing that cannot move. It would be like me telling you a story by saying one word each day. At breakfast I would say it, the word of the story, then I’d kiss you and I’d go to work and you’d go to school and all you’d have of the story is that single word each day and I would give no more until the next day, no matter how you begged. You’ll have to have the patience of a tree, I’d say. Can you imagine how that would be? If a tree is starving, its neighbours will send it food. No one really knows how this can be, but it is. Nutrients will travel in the tunnel made of fungus from the roots of a healthy tree to its starving neighbour, even one of a different species. Trees live, like you and me, long lives, and they know things. They know the rule, the only one that’s real and must be kept. What’s the rule? You know. I’ve told you lots of times before. Be kind. Now sleep, my love, tomorrow will be long. He stopped on the short landing and watched her through the cracked door, shifting in her sheets to find the most comfortable way of lying. He could hear gunfire from the east, beyond the town, short of the front line, and he wondered if the shots were being fired in celebration, or in anger, or in tribute to some fallen warrior. He wondered if his daughter believed his lie—that the gunfire was the noise of a great machine that was being used to frighten birds away from crops. It was for the birds’ own good, he’d told her: they’d gorge themselves till they were sick if they were let. He could hear her whispering to herself, or to her teddies and her dolls, ranged along the bed’s edge, questioning: Could that be true, what Daddy said? That trees can talk to other trees? It must be true, or else he wouldn’t have told me. I don’t know if I’ll tell my friends. Maybe I’ll just keep it for me and all of you, and we can think about it just ourselves, and dream about it, maybe. Well, good-night, babies. And she whispered each of their names in turn, and settled in the semi-dark, and there were only the sounds of the cicadas, and her breaths, and in the far distance another series of crackling bursts, like dry leaves underfoot fragmenting to dust. And the memory stung him again, so sharply this time that he almost sighed aloud, of how he’d hoped and prayed to God that she’d be born a boy. The moon was visible in the skylight above the landing and the stairs were drenched in its sickly light, and he felt a sudden hatred for it, the dead thing that circled one-faced and tide-locked above the earth, feeling nothing. Martha was sitting at the dining table, her forearms extended along its heavy wooden top, her fingers stretched, a mug before her, her face tilted towards the steam that wisped from it, her eyes closed. He thought of how she’d sat in just that spot weeks before and spoken animatedly to a strange and dangerous man, how she’d smiled at him and laughed at things he said, a laugh calculated to please the man, to reassure him she was well disposed towards him, that she believed the things he said, the reasons he gave for doing what he did. Farouk had watched their interaction through the garden window as he’d smoked with the man’s companion, a stick-thin youth of maybe twenty, with blemished skin beneath his patchy beard, the marks of pimples, of acne, the scars of the threshold of manhood. She’d wanted to speak to the man in charge, to get a sense of him, to see if he had solidness, a kind of ballast to his bearing. She was doing her best, he knew, to ease her terror, so she wouldn’t opt to stay, to see if they could sit it out, this strange confluence of opposing certainties, this tiny Armageddon. The thin youth had sat in silence, looking now and then from the garden through the window towards his boss and the beautiful woman to whom he was speaking, and back to the woman’s husband, and he’d grin, and raise his eyebrows, and exhale the smoke of his cigarette upwards in a thin stream, and nod, smiling, in approval, or reassurance, or just to be doing something, to mitigate the awkwardness somehow, the stilted silence that hung between them; it was impossible to say. He had hated his wife in that moment, though he couldn’t say for certain why. Because she was so able, maybe, to converse with a man so unknowable, a man whose word, he knew, could not be taken as truth. He felt humiliated, sitting outside his own house, on a stool beneath an olive tree, nodding back and forth with an idiot, inhaling foul tobacco simply because it had been offered to him and he’d been reluctant to appear cold or indifferent. He wasn’t sure of himself: he wasn’t able even to walk without considering his gait, the sureness of his step, whether his bearing seemed manly enough, whether his handshake was firm enough, without being so firm as to represent a challenge to the strangers, transmitted through their fingers and their palms. And he’d been careful to look away first once the greeting was done, and down at the ground between them, and this small act had caused a diminution in him, a terrible contraction. He wanted her to stand in front of him and bow her head and lower her eyes and beg for his forgiveness, for closing out the deal he’d made, for taking the envelope of money from the shelf above the stove, for counting out the notes in little piles along the table, while he sat and smoked with a gurning boy, a sap-filled, leering youth. She’d gone too far: she’d only been meant to speak to him of her fears about the boat, to ask him of its type and provenance, and the size and experience of its crew. They’d agreed she would do this without him, so she’d be free to take liberties in her interrogation; if he was present he’d be obliged to rebuke her for speaking so volubly and insolently—they had no knowledge of the sensibilities of these people, of the way they might take things. And so he’d said to the one in charge, as they’d shaken hands in the doorway: My wife is afraid of the crossing, of the sea. She’s never sailed before, but she has researched these matters. Perhaps you might allow her some technical details of the craft and of the course of our voyage, and of the skill of the crew, just to smooth the first part of our journey, to get us without drama to the port, you know how it is. And his mouth dried as he spoke the words, and the thick-limbed man laughed softly, and a light in his eyes danced, as he said, Of course, my friend, I know how it is. His breath caught now as he thought of it on the moonlit staircase as he descended, slowly, as quietly as he could, towards the soft billow of his wife’s blouse where it moved in the delicately shifting air in and out from her skin, and a million prickles broke along his brow and down his neck and back and front, and down along his arms and legs to his feet and hands as his blood quickened and his heart beat in time with his clenching fists. His wife stirred as he reached the lowest step, and she turned her head so her chin rested against her shoulder, and her face was tilted towards him but her eyes were fixed on some point far away, and he found himself checking her face and her eyes for evidence of tears, shed already or about to be shed, and he realized suddenly that he’d been hoping to see evidence of tears, of some kind of erosion of her alien strength, her seemingly unshakeable confidence in the rightness of their actions. 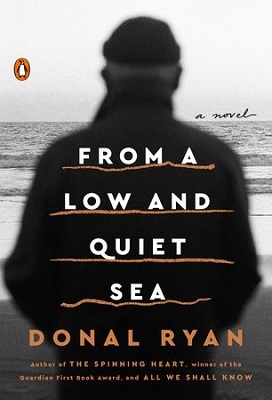 From A Low and Quiet Sea by Donal Ryan, published by Penguin Books, an imprint of Penguin Publishing Group, a division of Penguin Random House, LLC. Copyright © 2018 by Donal Ryan.